Patryk Skorupa. He got infected with angling while still being a child. His angling evolution led him to the ‘only right method’, i.e. spinning. For several years now, he has been taking part in regional contests. In 2006, he had the 3rd place in the Grand Prix for the Angler of the Year, in 2007, he was one rank higher. In 2005, jointly with a group of friends, he founded the Angling Sports Club – Police and he became its president. 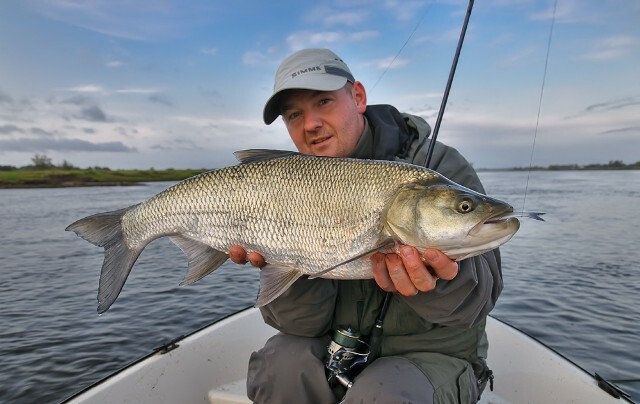 He angles at the Oder river most often but you can also meet him on the lakes. In winter, he looks for trout and salmon. Numerous vertical and horizontal dams, shelves and weirs. Perfect fisheries for catfish, asp, chub, ide, zander and pike. This is the shortest description of our offer in the Western Pomerania region. As far as trips at the border river Oder are concerned, we specialize in white prey fish, mainly asp. If you wish, we may organize a one-day rafting over the Oder in a professional pontoon. Do you feel like staying over? Why not. 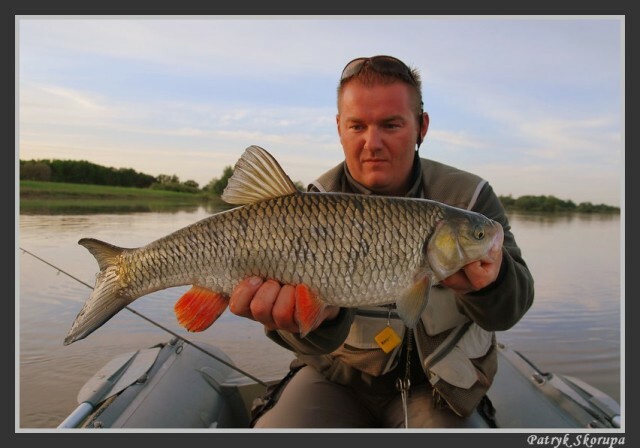 Numerous fish have found perfect living conditions on the section of the Oder we usually visit. Tell us, what fish would you like to catch? The river is divided with numerous horizontal and vertical dams where you can angle chub and ide while in the deeper overflows and holes of deep horizontal dams sander and pike are hiding. All these during the day. And at night? Chub, ide, sander. The regulated but sometimes wild the Oder is always plenty of fish and full of fisheries for every type of fish. We are in the Schengen zone, so… In autumn, our guide may take you to angle for sander, pike and perch in stagnant water. 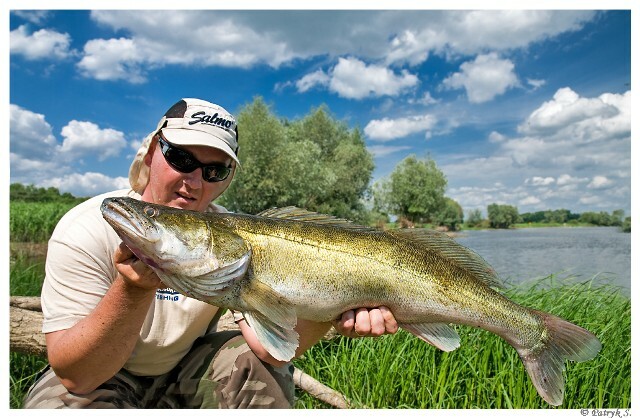 We hunt for sander on one of the best fisheries in Western Pomerania region, and maybe in the whole country. This is very deep water with differentiated bottom full of hills and slopes. You know perfectly well what we mean. We’d love to help you understand the river and to teach you how to read its secrets. Our guide can take you not only to this river, however. The range of possibilities is huge, the choice of a certain offer depends on your wishes only. Tell us what you expect and we will help you fulfill your fishing dreams. Group trips - River Odra - season 2014 - WELCOME! Dates of expeditions in the season 2014: 24-25.05 (2 days) + 21-22.06 (2 days) + 12-13.07 (2 days) + 16-17.08 (2 days) + 13-14.09.2014 (2 days). 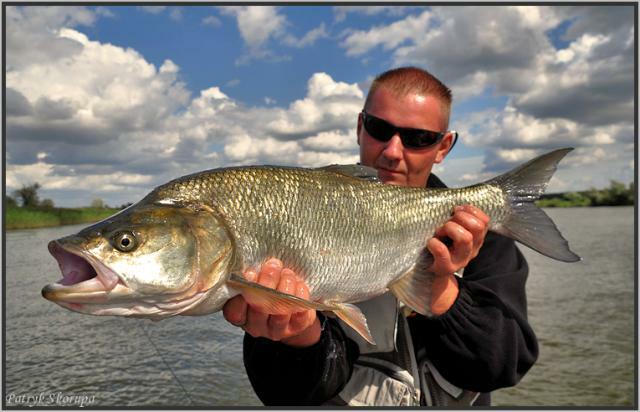 Over the two days, under the supervision of a guide, we fish on the river Oder in the north of the country. It is very attractive with a large population of deer predators (pike-perch, pike, asp, catfish, ide, chub). On the first day we meet up early in the morning at headquarters. Quartered in, unpack your luggage and go together to the fishery. On the second day of fishing, we fish to the very end of the day, checking out the hotels and return to our homes. We’ll be moving through the many varied places. The main objective will catch asp and pike-pearch. But we will fish also for chub, ide, or pike. 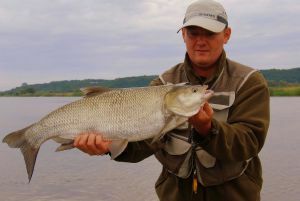 During the trip we will discuss fishing spots, and we will advise you how and what to fish in this spots. We live in private accommodation, a few kilometers from the river. Rooms 2 and 4 persons. All rooms have a bathroom and a toilet. Food and drink on their own. During the day and in the evening we are planning fire or grill. Guide during the trip will be Patryk Skorupa. Guide at any time has a comprehensive knowledge and professional advice. You should bring waders to be able to reach in less accessible places. Such fish you can catch with our guide.